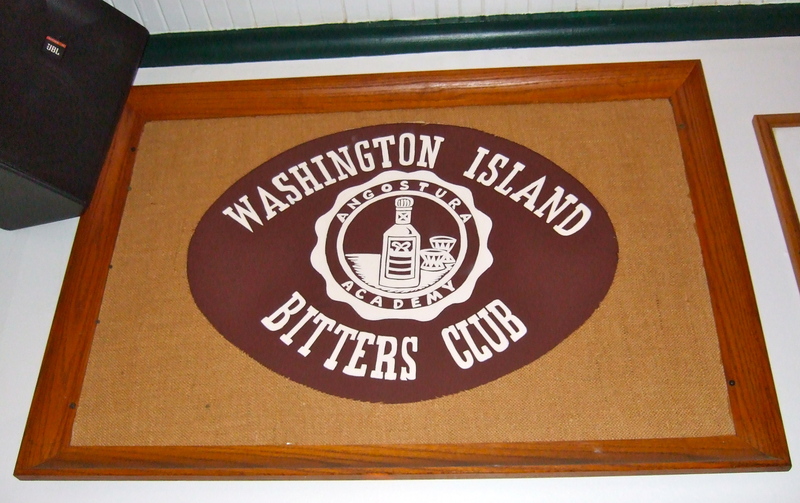 People who live on Washington Island, off the northern tip of Door County, WI, have been known to tell newcomers that they won’t be true islanders until they stop at Nelsen’s Hall for a shot of bitters. I’d somehow missed the iconic tradition during my visits. But when I decided to place a scene at Nelsen’s in the third Chloe Ellefson Historic Sites mystery, The Lightkeeper’s Legacy, I had to remedy that omission. 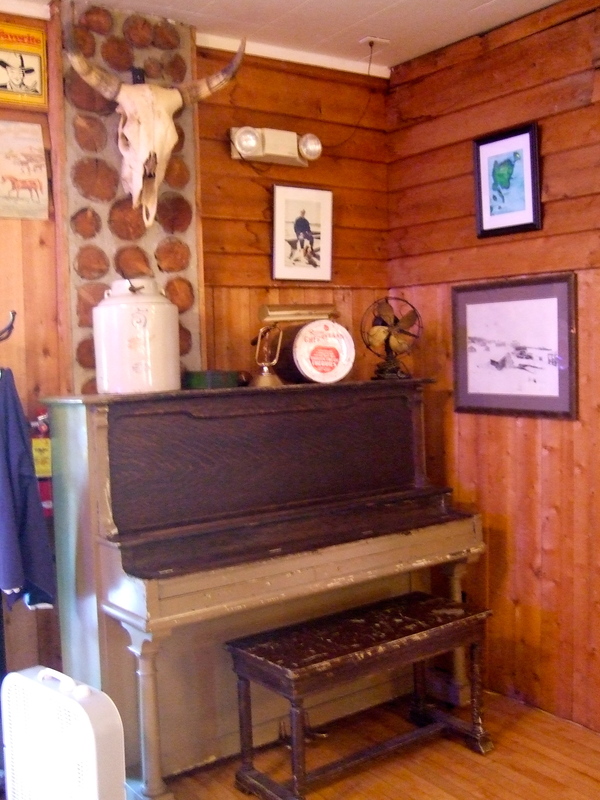 Danish immigrant Tom Nelsen built the tavern in 1899. 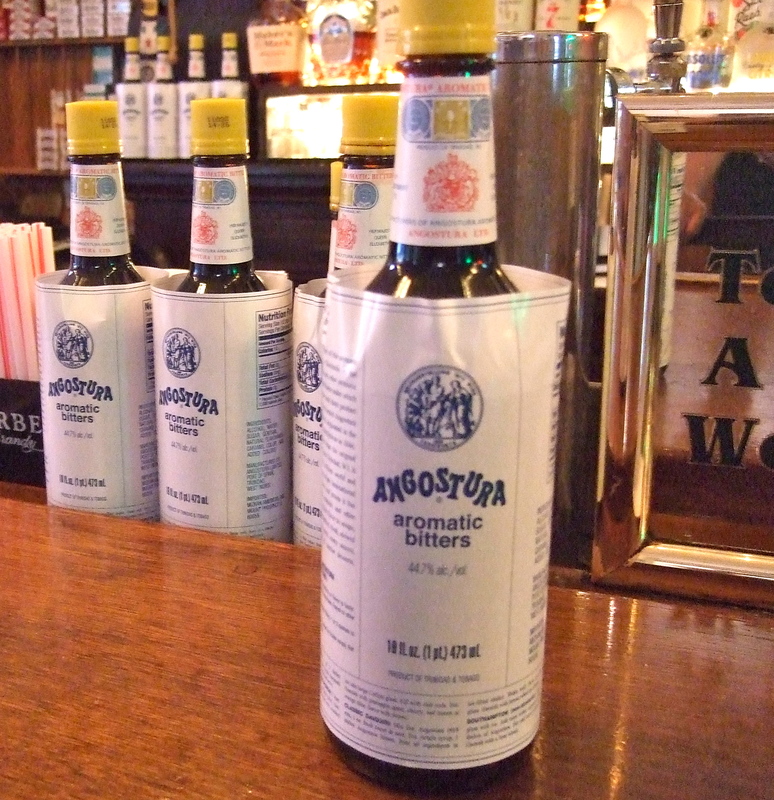 He lived to be 90, and credited his long life to his habit of drinking nearly a pint of Angostura Bitters every day. When that pesky Prohibition law went into effect, Nelsen blithely applied for a pharmacist’s license and dispensed bitters as a stomach tonic—despite the fact that it’s about 90 proof. Today, Nelsen’s Hall has the honor of being the state’s oldest legally-operating bar. The hall was much more then a tavern, though. Over the years it has served as a social center for the island community. Memorabilia that decorates the main room provides lots of reminders. 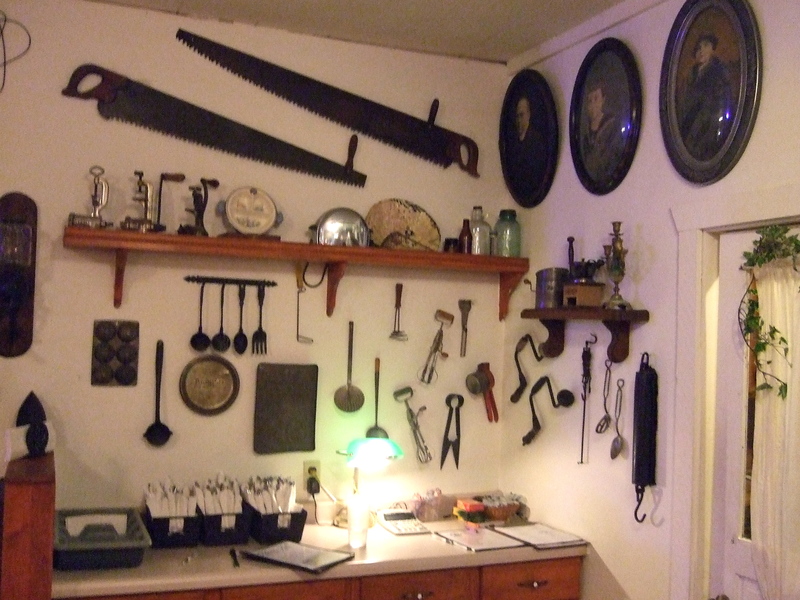 Photographs and old tools, mounted near the waitstaff station. Some of the walls are of stovewood construction, as seen in the open section here. Once, island residents came to Nelson’s to watch movies. 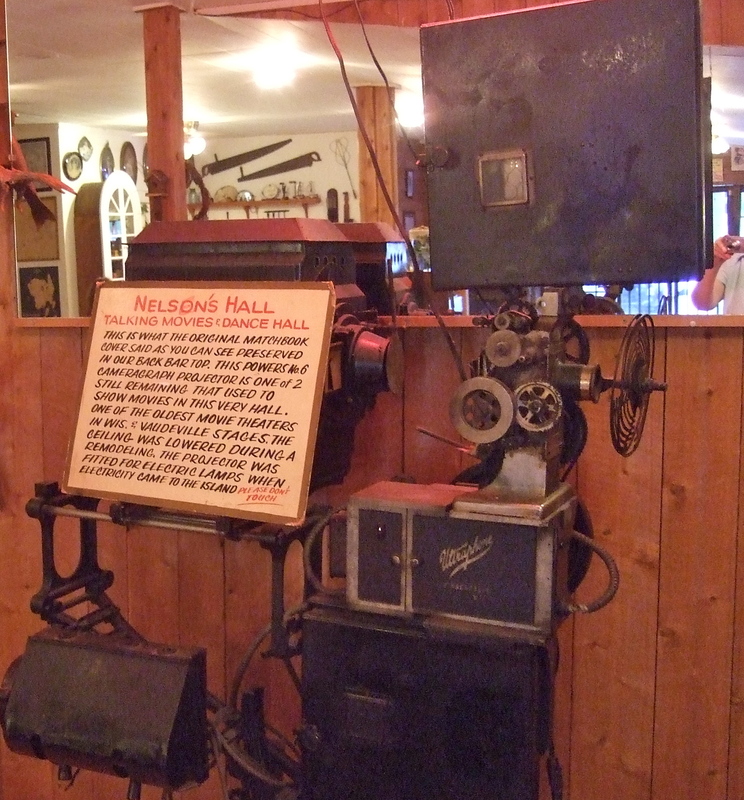 This equipment dates to 1910. 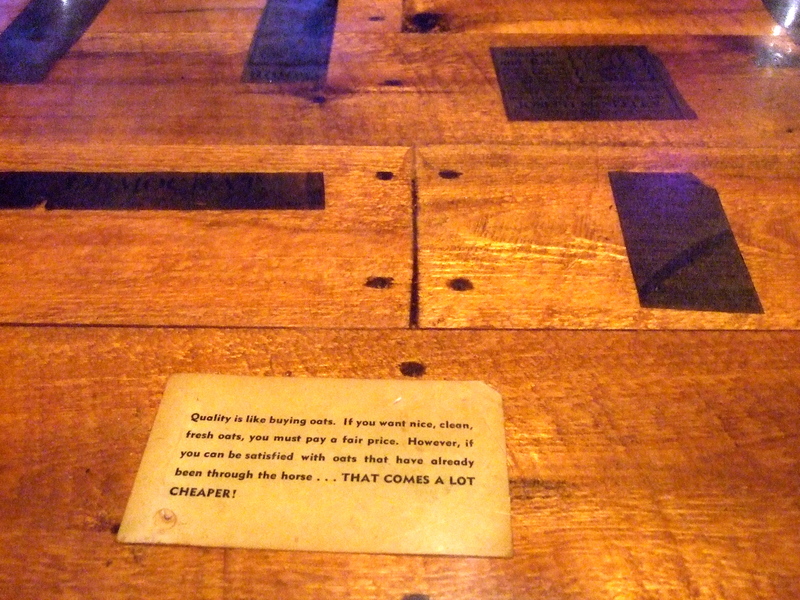 The original bar, dating back to 1850, now showcases old ads. When my husband Scott and I visited recently, we told the waitress that we wanted to try the bitters. She served up two shot glasses filled with a dark reddish liquid, and we tossed ’em back. Not too bad, I thought. A second later I realized that my nostrils felt hot. Nelson’s serves more Bitters than any other location in the world. We were invited to sign the Bitters Club membership book. The waitress pulled out two membership cards, dipped her thumb in the dregs of my glass, and provided the official seal. 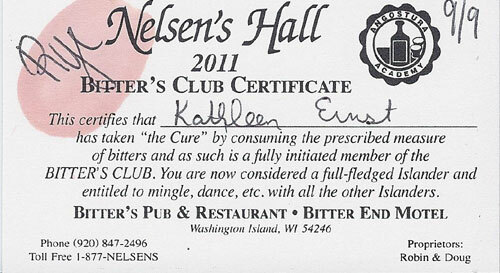 Each year more then 10,000 people visit Nelsen’s and join the Bitter’s Club. Scott and I followed our initiation with dinner, which was quite good—definitely not your basic munchies. I won’t order bitters again, but it was a fun evening. Do you think the IRS will question our bar tab? Anyway, I like businesses that celebrate tradition. If you have a favorite, do let me know! I’m always game for a new adventure.